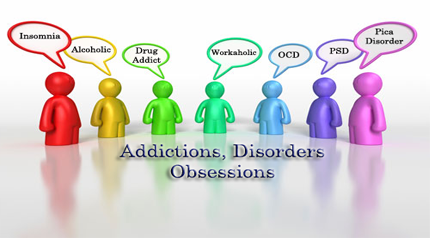 Addiction is a condition in which the body must have a drug to avoid physical and psychological withdrawal symptoms. Addiction’s first stage is dependence, during which the search for a drug dominates an individual’s life. An addict eventually develops tolerance, which forces the person to consume larger and larger doses of the drug to get the same effect. There are many different types of addiction. Understanding the addictive process and the danger signs can help you to tell the difference between addictive behavior, problematic behavior that is not an addiction and normal behavior that is non-problematic or healthy. When asking yourself, "Am I addicted?" remember that substance use, although risky, isn't always addiction, and many addictive behaviors, in moderation, are normal everyday or recreational activities for many people. Proper Counseling and treatment helps to overcome from addictions.